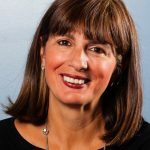 Yolanda Robano-Gross joined Options for Community Living (Options) as Executive Director in 2014 with more than 20 years of prior executive level experience within the health care industry. She was formerly the VP of Developmental Disabilities Residential Services at FEGS Health and Human Services, a not-for-profit agency with programs throughout metropolitan New York. In addition to her experience at FEGS, she served as Director of Developmental Disabilities Services at PSCH, a comprehensive human services agency. Her additional prior experience includes Adjunct Field Instructor Liaison for SUNY Stony Brook University, Operations Director for Global Healthcare Staffing and Director of Quality Assurance for the Beacon Group. She earned a Master’s in Health Care Administration from Hofstra University, Master’s in Social Work from Yeshiva University and Bachelor’s Degree in Social Work from Marist College. She additionally holds a certificate in Executive Education, Non-Profit Leadership from The Fordham Center for Non-Profit Leaders and is currently enrolled in the Not-for-Profit Management in a Changing World, certificate program at Hofstra University. Yolanda also serves as an executive board member and secretary for the Advanced Health Network (AHN) and is a member of the Board of Directors for the Long Island Coalition for the Homeless.